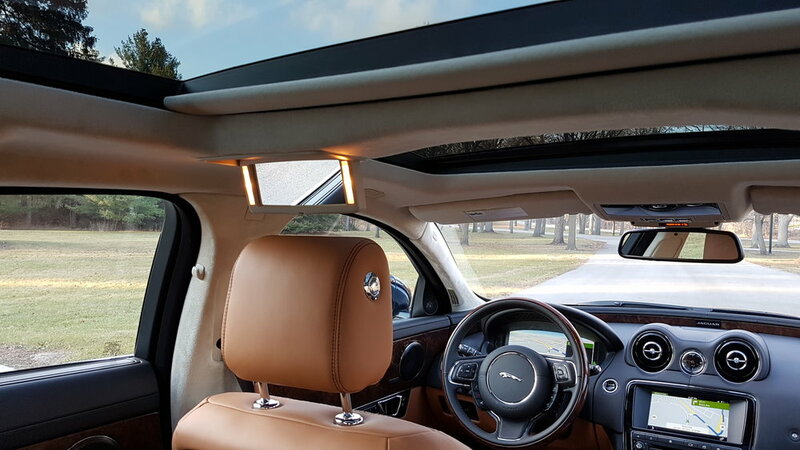 2017 Jaguar XJL 3.0 AWD - Jaguar Brings a Knife to a Twitter Fight — Roving. The current Jaguar XJ is, in general automotive terms, an old car. Codenamed X351, the flagship Jag was introduced to critical acclaim in 2009. Designed by Ian Callum, the XJ was controversial at launch for its daring take (some say affront) on Jaguar’s substantial design heritage. Changes to the biggest cat have been incremental, so it’s largely indistinguishable now from its 2009 form. If you look at the XJ’s history, however, it should come as no surprise. 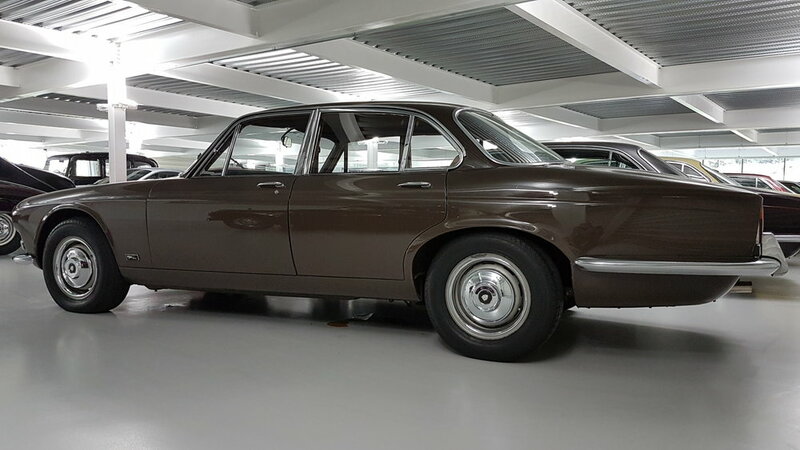 The XJ emerged in 1968, and was considered by many to be the best car in the world at the time. The basic formula has been so successful that it’s been completely redesigned just four times in fifty years. The first generation was sold from 1968 to 1992 and was significantly updated twice during that time. The cars were known as Series 1 (1968-73), Series II (1973-79), and Series III (1979-92). XJs were sold with one of 2 inline-6 engines (known as the XK engine) or a V12 starting in 1972. V8 power wasn’t seen until the third generation X308 car was introduced in 1997 with the AJ-V8 that is still in use today. The styling of the XJ evolved slowly across the first three generations, becoming an icon of British luxury. There were a number of reasons for this glacial development pace. In 1965, two years before the XJ launched, Founder Sir William Lyons merged Jaguar Cars Limited with the British Motor Company to establish British Motor Holdings Limited. The British government, concerned with the potential for mass unemployment if BMH were to fail, pushed the company to merge with the comparatively healthy Leyland Motor Corporation in 1968, forming the British Leyland Motor Corporation. BLMC was comprised of almost all of Britain’s automotive companies: Austin, Leyland, Land Rover, Rover, MG, Jaguar, Mini, Morris, and Triumph. It also held companies that made construction equipment, road surfaces, metal castings, and refrigerators. One-hundred companies in all. In 1975, after several years of declining sales, poor quality, and labour unrest, BLMC was partially nationalized and propped up by the British government to avoid the layoffs that would result from the failure of this even larger conglomerate. Jaguar was spun back off into its own company in 1984 under the management of chairman Sir John Egan, who cut the work force by a third, improved productivity and quality (relatively), and finally brought the second-generation XJ, in development since 1972 and known internally as XJ40, to market in 1986. Jaguar Cars was purchased by Ford Motor Company in 1989, and used the basic underpinnings of the XJ40 until 2003. Ford’s replacement for the XJ40, known internally as X350, featured a new all-aluminum body and styling that would have been considered “retro” had it not been essentially the same for the previous thirty-five years. It sold from 2003 to 2009. When Tata Motors, the automotive subsidiary of Indian mega-conglomerate Tata Industries, bought Jaguar and Land Rover from Ford in 2008, the current XJ was under development. Frankly, it’s a wonder that Jaguar and the XJ survived at all. Consider it a testament to their fundamental excellence. With that lengthy history lesson out of the way, here we are heading into 2018, the X351’s ninth model year. The biggest Jaguar is still pitted against the biggest from Mercedes, BMW, and Audi. With the distinct disadvantage imposed by its age, the current XJ could look like Jaguar is bringing a knife to a Twitter fight. The S-Class (new in 2014 and updated for 2018), 7-Series (new in 2016), and A8 (all-new for 2018), are competitors in an arms race of cutting-edge technology with autonomous features at the forefront. With the competition living in the future today, has the XJ’s time passed? On paper, the answer seems obvious. But in the cabin and on the road, it’s much less clear. 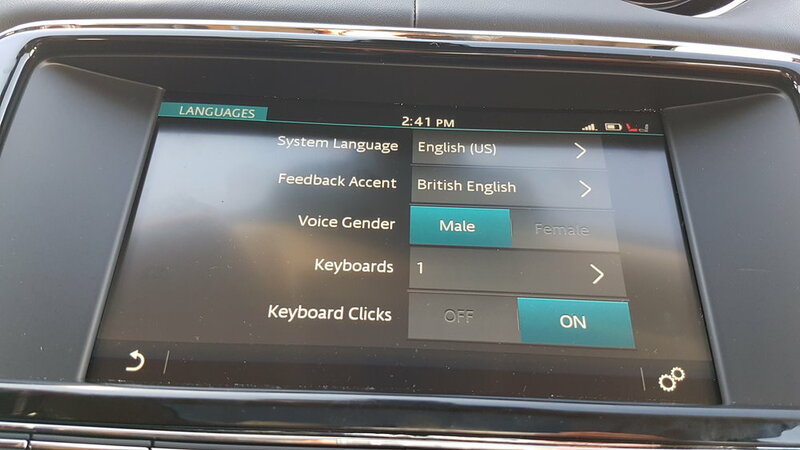 The appeal of the XJ isn’t in how well it connects to a smartphone or how much driving responsibility it’s able to assume. The appeal of the XJ is more tactile and visceral. The XJ’s interior is, and has been since its introduction, my favourite interior in a car today. The beltline sweeps into the cowl in dramatic fashion, carrying a wide swath of glossy burled walnut around the entire passenger compartment. The low dashboard gives a sense of relaxed spaciousness. The heated and cooled seats are firm and supportive, with 18-way power adjustability and quilted, perforated London Tan hides. The whole design is the embodiment of contemporary British luxury. Technologically, the XJ has the must-haves covered. It can be ordered with Adaptive Cruise Control ($1640), Surround Camera System ($840), and 360-degree Park Distance Control ($310). 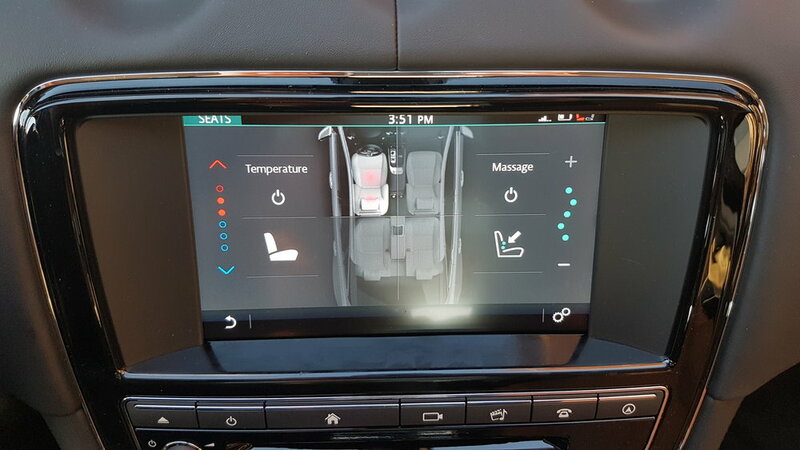 My 2017 XJL Portfolio test car featured an older version of Jaguar’s InControl Touch Pro system, which has been updated for 2018 with a bigger and more responsive 10” touchscreen. It lacks the ability to fully drive itself in traffic, a la Audi Traffic Jam Assist, and it cannot park itself, with or without the driver present, as can the BMW. It’s essentially got the minimum amount of technology that a luxury-branded car at any price should have. To some, that might make the XJ seem like an automotive anachronism. Surely JLR could find something better to do with the production capacity at Castle Bromwich than build this time capsule. Press the start button, however, and the biggest cat launches a charm offensive that’s hard to resist. The familiar 3.0-litre supercharged V6, producing 340 horsepower in this application, is connected to a smooth-shifting ZF 8-speed automatic with paddle shifters. All wheel drive is standard on V6 models in Canada. New for 2018, the XJR575 LWB brings the pain with a 575-horsepower 5.0-litre supercharged V8 driving the rear wheels only. My test car was a long-wheelbase 3.0L Portfolio AWD model. Standard-length XJs measure 202 inches long with a 119.4 inch wheelbase, while the long-wheelbase stretches 206.9 inches with a wheelbase of 124.3 inches. All of the additional length is in the rear sear area, making the LWB cars suitable for chauffeur duty. The underpinnings of the X351 XJ and XJL are actually derived from the previous generation, which debuted the all-aluminum bonded-and-riveted unibody construction. Steel coil springs hold up the front end, with self leveling air springs at the rear and electronically adjustable shocks all around. The ride quality is superb, though perhaps stymied somewhat by the 20-inch wheels and tires on my test car. I suspect that the standard 19” rims with , higher-profile tires would yield the most favorable ride-handling compromise. The XJL belies its 4,112 curb weight with the sort of road manners that you’d expect from a much smaller sedan. If it played in a rugby club, the XJL would be a lock with the moves of a wing. The hydraulic power steering in AWD cars (rear-drive XJs use electric power steering) is responsive and linear, and understeer is easily corrected with a bit of throttle input. Acceleration is brisk, with 0-100 km/h taking 6.4 seconds. The XJR575, for an extra $25,000, knocks a full two seconds off that time. The 3.0 doesn’t feel particularly burly off the line, but acceleration from a rolling start, onto the highway for example, feels fast. The selectable “Dynamic” program stiffens the shocks, tightens the steering, and sensitizes throttle response, and an “S” mode on the gear selector holds higher revs for longer. In most driving, I found I was quite satisfied with the normal settings. Finally, the least tangible argument for the current Jaguar XJ is its exclusivity. Mercedes-Benz sells six S-classes every time Jaguar moves a single XJ. The Merc is exceptional, but it’s hard to argue that it’s special when there are so many of them. At a time when luxury carmakers are selling more cars than ever, there’s something to be said for standing out from the crowd in something truly unique. Something with heritage, with personality. My Loire Blue Portfolio-trim test car carries a sticker price of $110,942 CAD. 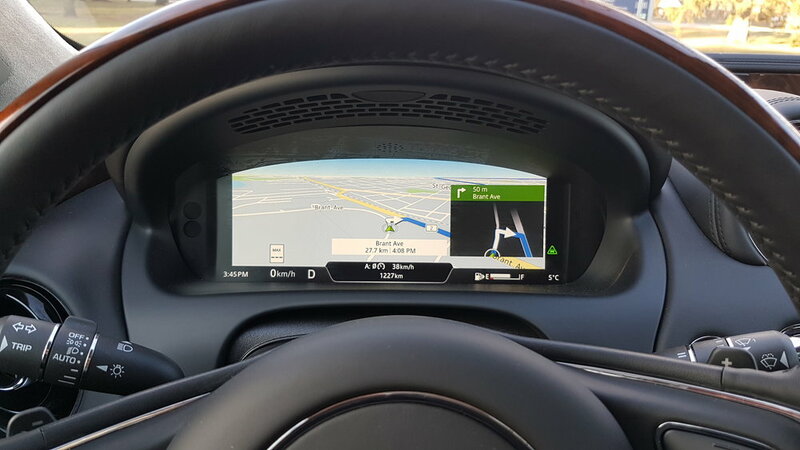 This includes the option Adaptive Cruise Control, Surround View Cameras, Heated Windscreen, 20" machined-face alloy wheels, and 360-degree park distance control. A twin-panel glass roof and heated/cooled front seats with massage are standard. Other options include a 1200W Meridian Reference sound system for $4,290 and a Premium Rear Seat package for $4,080 with individual climate controls, power adjustment, seatback trays, and a rear seat entertainment system with wireless headphones. That puts a fully loaded 3.0L XJL about five grand shy of the least expensive long-wheelbase S-class, so there's a value proposition here, too. The next XJ, still a couple of years away, is expected to bring the fight back to the competition with an armada of state-of-the-art features. I know that I’m not alone in my reticence about the future of driving in the face of increasing automation and technology. 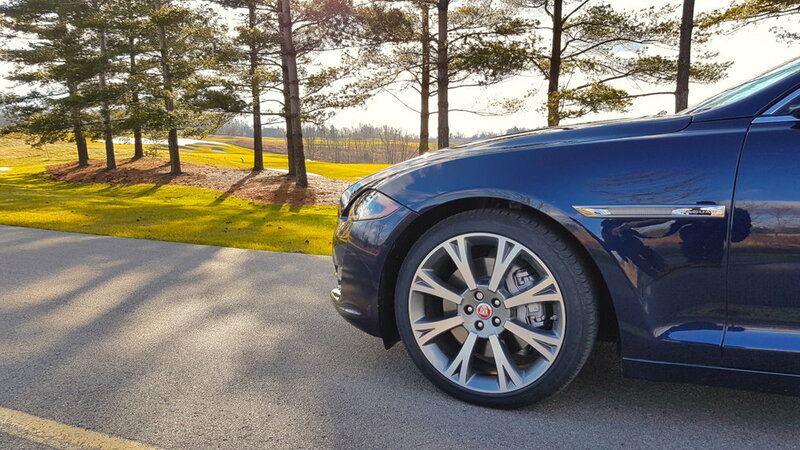 The Jaguar XJ may be our one last chance at pure, uncomplicated driving enjoyment in a full size sedan. Special thanks to Budds Imported Cars in Oakville Ontario for providing this test car.